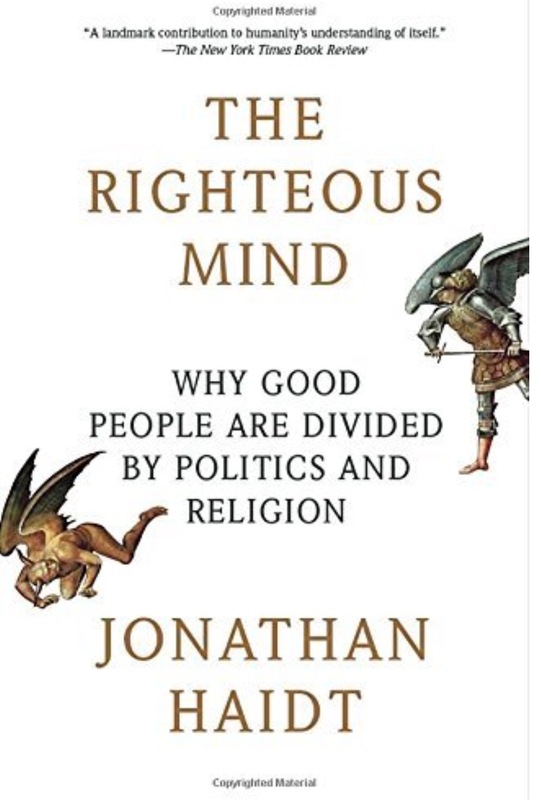 Back in 2010 and 2011 I was honored to be asked by Jonathan Haidt to review a manuscript of his then upcoming book The Righteous Mind: Why Good People Are Divided by Politics and Religion . Since that time we’ve maintained our correspondence. I’ve asked for and received his permission to publish his responses to three ideas I offered. For the reader’s convenience his responses are in red font. The ideas I offered are in regular font. I’ve chosen these three examples from the many I’ve received because they pertain to my overall thesis and as such are particularly meaningful to me. Email 1 is the very first one I ever sent to him back in 2010. I was inspired to write after watching his TED Talk The Moral Roots of Liberals and Conservatives. It was this email that moved him to invite me to review his book. In it are my first musings of what eventually became my Cognitive Theory of Politics. Email 2 is an observation of mine that gradually formed during the intervening years based on my readings and on my interactions with academic social scientists other than Haidt. “What is knowledge? How is knowledge acquired? What do we know? How do we know what we know? These questions seem most fitting for a philosophy class in epistemology — however, they are also essential in the world of economics. The way I read these excerpts, the difference between deductive reasoning and inductive reasoning is very close, if not the same, as the difference I describe between the deductive “reason” of liberalism and the inductive “experience” of conservatism. Could it be that a fundamental difference between liberalism and conservatism is in the way each views knowledge and how it is acquired, and the value each places on one type vs. the other? Could it be that fundamental differences exist between the two visions not only in what they think, but also in how they think? Could it be that liberalism favors the “a priori” approach of deductive reasoning, and conservatism favors the more empirical approach of inductive reasoning? But (you knew that was coming) what strikes me about the five foundations you describe is that they can be thought of as the “what” of morality; they are the building blocks that people use to construct their own unique moralities. But I also wonder about the “how.” That is, could it be that the reason liberals and conservatives build their moralities using widely different amounts, or weightings, of the five foundations, is that they use entirely different mental processes, or types of reasoning to arrive at their respective visions? Could it be that the reason/experience, or deductive/inductive, difference between liberals and conservatives is similar to the Mars/Venus difference between men and women? Could it be that the liberal brain and the conservative brain are just “wired” differently (thus coining a new interpretation of “left brain/right brain”), such that each perceives the world and reacts to it in fundamentally different ways that cause the different weightings of the five foundations? And if they do think differently, then why? How is the “initial draft” of the brain of each side trained to process information so differently from the other? At any rate, whether it is called liberty/constraint, constrained/unconstrained, or something else, the idea seems to look outward from the person toward how we view society and treat others. But could how we view ourselves also be a foundation of morality? For example, if I see myself as the unencumbered self, then the last three foundations are unnecessary, but if I see myself as the situated self, then they are essential to who I am. i get a lot of emails from “amateurs”, and I rarely find that they fit with so much else that I am reading and thinking as yours has. I think you have nailed one of the few best candidates for being a single principle that characterizes the lib-con dimension. 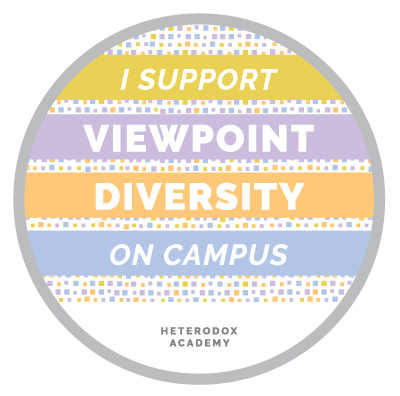 (No on principle gets 70% of it, but this one, and the openness-to-experience one, are good candidates). I think that the five foundations are like taste buds, everyone’s got them, but your reason/experience split may help explain why some poeple then construct a morality from logic, for which tradition is irrelevant; others, like Burke, see wisdom in accumulated experience. As you know, Sowell makes a very compatible case, about why liberals are so prone to dangerous abstractions unmoored from reality. (and i’m a liberal, but a somewhat anti-rationalist one). I’m also pleased that you have read my work so closely, and apply it so deftly. May i ask what your own political leanings are? If I stand back and look at the overall trajectory of your work it seems that the literature survey that eventually led to MFT actually started with Happiness Hypothesis. You may not have recognized it as such at the time, but I bet in retrospect you’d agree. This leads me to the point I’d like to make. The more I read the more I see patterns, or trends, emerging. In my quest to get a handle on ideologies I read history, for years, BEFORE I stumbled upon your TED Talk and a whole new avenue of study, psychology, opened up for me. Your work confirmed patterns I’d already seen; corroborated conclusions I’d already made. But I get the sense that the path I’m on is NOT a two way street. I have the feeling that psychological social scientists don’t read much history. And by not doing so they might be missing some very important emergent patterns. Sure, you read Hume, Mill, Adam Smith, etc., bit that’s not the type of history I’m talking about. I’m talking about books by historians like Forrest McDonald, Bernard Bailyn, Gordon Wood. I could send a list. I think by NOT reading much history psychological social science denies itself access to great swaths of empirical evidence about about human thought and behavior, and importantly it denies itself the opportunity to see patterns that could shed great insights, even epiphanies. My point here is not to argue for my ideas. My point is to wonder aloud to you if psychological social science might be too narrowly focused in its literature research and thinking about the moral roots of liberalism and conservatism, and if it broadened its scope our collective understanding of ourselves would improve. I think you’re the exception to this. I think your Three Stories About Capitalism proves this. I think a similar approach, but aimed at government, could be an epiphanous watershed moment for the advancement of psychological social science. Three Stories About Government could be a game changer. my field is not very scholarly. We are focused on experiments and methods. We are not even scholarly about the experiments and methods used 30 years ago; we are too caught up in the present. I finally read your cognitive theory. It’s a fantastic integration of so many books and thinkers and ideas. I do see how these types recur, all the way back. 1) why is it called the cognitive theory? What does cognitive mean here? Is it about different types of information processing? 2) why do you talk about brain types? Is there any evidence that the brains of left and right differ [yes there is] in the ways that you need for your theory to be about brain types [not clear to me]. In the righteous mind I take a nativist developmental view, just like you; I say that temperament is heritable, and some temperaments predispose people to left or right; as does Hibbing. What exactly is the claim you make beyond this? Why do you say that it is brain type, rather than just trying to describe the temperamental difference in more detail than I or Hibbing did? It seems you are identifying two psychological types, not two brain types.